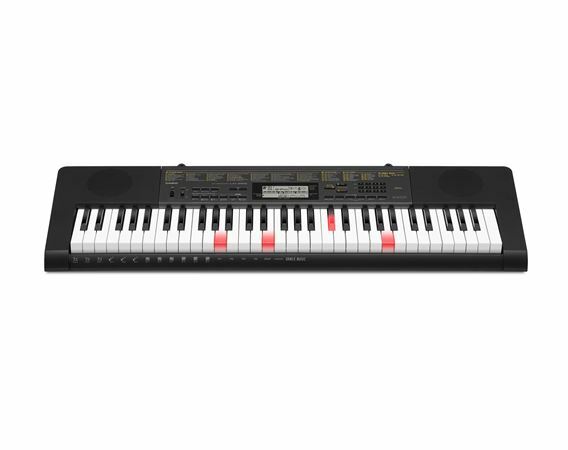 Order your Casio LK265 61-Key Lighted Keyboard Premium Package from AMS and enjoy 0% Interest Payment Plans, Free Shipping, Free Extended Warranty & 45 Day Money Back Guarantee. A total entertainment keyboard, the LK265 features lessons which make learning to play fun! 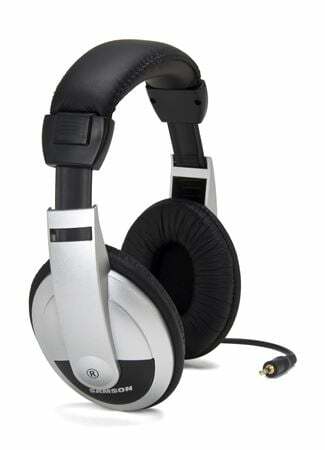 In addition, the LK265 has improved sound quality and keyboard feel. With 400 high-quality Tones and 150 fun Rhythms, the LK-265 delivers a huge variety of musical exploration. You can listen via the built-in speakers, or connect headphones for quiet playing. The LK-265 has 61 full-size, touch-sensitive keys that respond naturally to your playing dynamics. 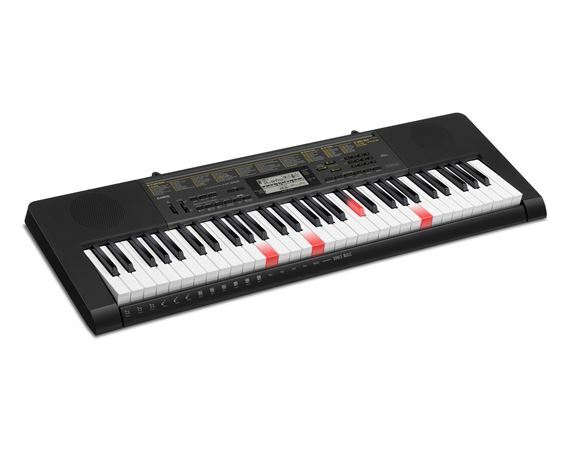 The LK-265 also feature Casio's Key Lighting System, which illuminates keys to indicate which notes to play. Combined with its intuitive Step-Up Lessons, the LK-265 makes it easy to learn the 60 built-in songs. The LK-265's all-new Dance Music Mode lets you create and remix electronic dance music quickly and easily. Select from 50 styles of EDM, and use the lower keys to choose different variations of drum beats, bass lines, and synth parts. You can even add filter, flanger, gate, roll, low-fi, and other effects to polish your tracks. 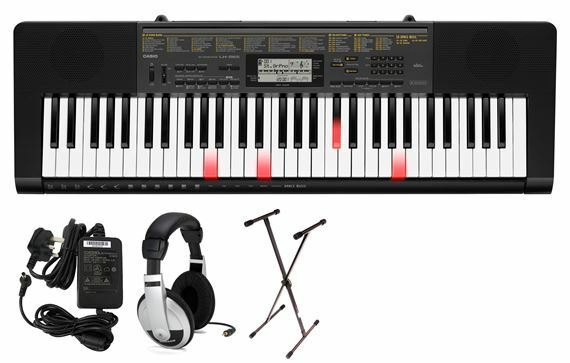 Connect to your iOS or Android device to use the free Chordana Play app, which uses the LK-265’s lighted keys to show you how to play your favorite songs. Just download your favorite MIDI files, connect your device's headphone output to the LK-265's audio input, and explore an endless library of music. You can even transfer MIDI songs to the keyboard, and learn them when your device isn't connected (some file limitations apply). The LK-265 lets you make music anywhere with battery power, or use the included AC adapter. It's compact and lightweight, yet rugged and reliable. 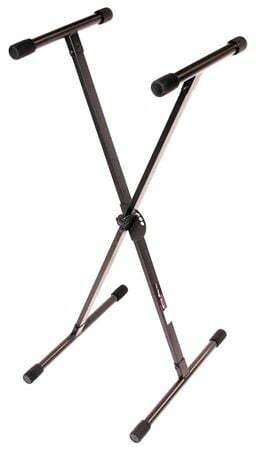 Dimensions: 37.2" x 12.1" x 3.6"
Bought this for Christmas hoping my 10 year old would get into playing the keyboard. He comes home from school and plays for hours. Lights are helpful and sound is good. Perfect starter keyboard. My dgt loves this keyboard! Great price too!! Great learning keyboard for the kids to practice their chops! This was a gift for my son. He took a keyboarding class in school and he was to learn mainly by his keyboarding book. This keyboard has over 50 really good songs programmed in where the keys light up to help teach you to play. I chose American Musical because they had the best price and fastest shipping. 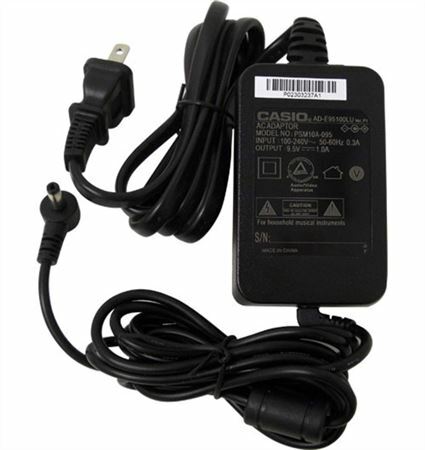 I chose the brand Casio because I knew it would be of great quality. I still have my Casio Keyboad my grandfather handed down to me. I played with it in the 80's as a kid and my son has played with it these past few years, also. It still works perfectly. American Musical had a great package deal, too. I'm really glad I chose this keyboard. As a family we all love the Casio LK265 Keyboard. Absolutely love this keyboard! I bought 3 of these for my kids and they have enjoyed them and are already learning to play songs just by using the teaching function. Would definitely suggest for anyone wanting to learn to play. I bought this for my daughter and she loves it. It has many different ways to learn the songs. You can connect a tablet or smart phone. The dance mode is great to get anyone making music right out of the box. The headphones are great quality and you can hook a microphone up to the keyboard and it sound awesome through the headphones just ok through the speakers. Great buy and awesome deal to be able to put it on payment plan with no credit check.